The National Allotment Society is made up of eleven regional bodies, consisting of thousands of members, who are our greatest asset and who work hard to support the allotment movement in their area. 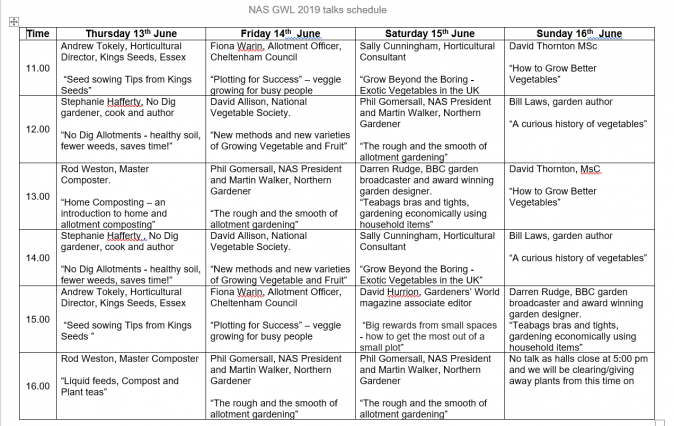 Let’s Talk Allotments at Gardeners World Live! 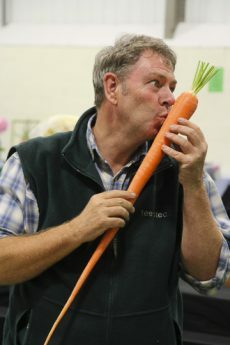 Once again, the West Midlands team have been busy growing vegetables for their mini allotment plot at Gardeners World Live at the NEC Birmingham from 13 to 16 June 2019. Our volunteers will be there to answer your allotment queries or why not just come along and share your love of gardening with us. This year we also have an ambitious talks schedule with a host of guest speakers on fascinating topics. It’s a great show with lots to see, lots to talk about, lots to eat and even more to take home in your plant trolley.